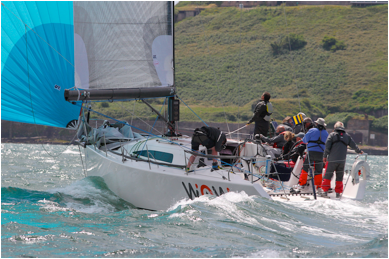 Sailors are encouraged to enter Volvo Cork Week 2016 (10th – 15th July) before the early-bird deadline on 1st May for a chance to avail of a discounted entry price, as well as being entered into a draw to win a weekend bareboat charter on a 40ft yacht, kindly sponsored by Sovereign Sailing in Co. Cork. The coastal fleet is a fantastic opportunity for boats that wish to partake in the event and do not want to be in the mix with all the high performance racing boats or have to get a full crew of experienced sailors in order of have a chance of winning their class. With a Corinthian spirit the coastal fleet will be longer races with a lot more variety and types of boats, aimed at providing good fun racing for those competing in that fleet. Helly Hansen, Volvo Cork Week’s Official Clothing Partner, will have a retail shop in the regatta village, alongside other notable retailers such as CH Marine and Union Chandlery.